Only 076 Booking slots left – book now! Getting rid of waste in an ethical manner has never been as important as it is now. With more awareness than ever before surrounding plastics entering our environment and a tremendous amount of pressure on both the government and organisations to ensure that waste is disposed of in an environmentally friendly way, correct storage, collection and eventual recycling is now a key part of any business plan. And with FreeCollections.co.uk, glass doesn’t need to add to your list of recycling headaches. Recycling can get expensive, especially when it comes to large, bulky items like glass. Local authorities can often refuse larger collections or even charge extra to take away large amounts, so it really pays to look at other options for getting rid of recyclable waste to prevent logistics and storage issues. 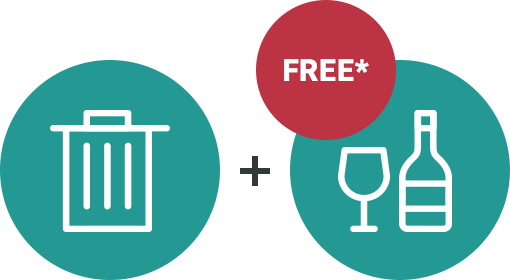 FreeCollections is a waste collections company that provides free glass collections to organisations that already have a general waste bin or recycling bin at their premises. Instead of mixing glass in with general recyclables, or even general waste, businesses can collect together their waste glass ready for us to pick up and dispose of in a way that meets both government requirements and ethical recycling guidelines. Recycling is big business in Harrogate, with the busy town centre and large number of shops, bars, restaurants and cafes all contributing to a large amount of waste that needs to be handled by Harrogate Borough Council. There’s something of a reliance on remote glass recycling facilities, rather than a dedicated service for heavy users of glass bottles, and the council can often refuse collection if the amount being thrown away doesn’t fit within their guidelines. This is where it pays to have a glass collection partner that won’t complain or land you with extra charges when your business has a lot of glass that needs to be taken away. Having your glass collected by FreeCollections is an easy process. After filling out a short form detailing how much glass you’ll need to be collected, one of our friendly and helpful representatives will be in touch to see if we can offer our free service. We also offer collections for a massive range of other waste products too, so you can get a comprehensive package that will ensure your business can tick all the relevant ‘green’ boxes. 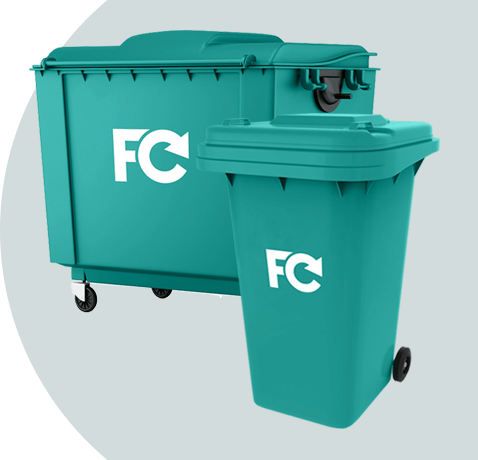 If you’re looking for a recycling partner in Harrogate who can get rid of your waste management headache while remaining both ethical and within the law when it comes to disposal, look no further than FreeCollections.co.uk.